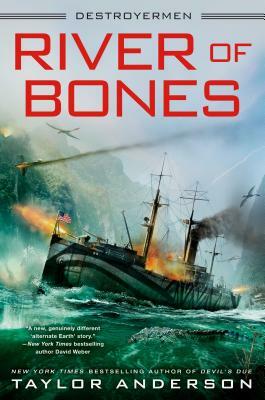 The crew of a WWII destroyer face their greatest challenge yet as they try to survive in a strange new world in the next thrilling book in the New York Times bestselling series. Commander Matt Reddy and his crew are afraid it may finally be the end of the USS Walker. Ever since their ship was transported to another world, and they became embroiled in a deadly conflict between the Lemurians and the vicious Grik, the Walker has been taking a pounding. With Walker out of commission for repairs, Reddy takes command of a different ship and joins a desperate battle to block the Grik swarm. Taylor Anderson is the New York Times bestselling author of the Destroyermenseries. A gunmaker and forensic ballistic archaeologist, Taylor has been a technical and dialogue consultant for movies and documentaries. He is also a member of the National Historical Honor Society and the United States Field Artillery Association, which awarded him the Honorable Order of St. Barbara. He has a master’s degree in history and has taught that subject at Tarleton State University in Stephenville, Texas. He lives in nearby Granbury with his family.